Nelson Rolihlahla Mandela is etched into history as an icon and is lauded all over the world for his work in the struggle against apartheid. But Mandela is as fallible as any of us. Heroism and representation are political and the people we choose to commemorate and celebrate must be closely examined with a lense that is gender-sensitive, especially in an era where feminism is claiming its space. We must be relentless in our exposure of patriarchy and in our attempt to understand those who we name as icons beyond the rose-tinted glasses of adoration and adulation. The Nelson Mandela Centenary and the death of Mamâ€™ Winnie Madikizela-Mandela this year only heightens the urgency for SHAAZIA EBRAHIM to contest the legacies of the man represented as a saint. Mandela presented himself as a leader who was concerned about womenâ€™s empowerment in the public sphere. When the first parliament of the free South Africa opened in 1994, then-president Mandela said: “Freedom cannot be achieved unless women have been emancipated from all forms of oppression.” In his autobiography Long Walk to Freedom, Mandela wrote about the critical role the African National Congress Women’s League played in the anti-apartheid movement. He proclaimed 9 August Women’s Day in 1994 to commemorate the pass protests in 1956 when 20 000 women marched to the Union Buildings in Pretoria to protest legislation demanding black women to carry the Dompas in urban areas. Mandela signed off on the constitution in 1996 which is one of the most progressive in the world in terms of gender equality. But Mandelaâ€™s gender politics in private were a little more shaky. Anti-apartheid activist and dear friend of Mandela, Amina Cachalia, said in an interview with Public Broadcasting Service (PBS) that Mandela and his peers claimed to be in tune with women’s liberation, but were not. â€œThey absolutely are not so in tune with women’s liberation. They talk a great deal about it, but a lot of them are still very, very chauvinist in their habits,â€ she said. Duarte acknowledged that as a product of his time, he was allowed to do things that were not so progressive. â€œI thought he is a man from his own generation, he is allowed to do these things that perhaps some of us may consider to be not so progressive,â€ she said. In his biography Young Mandela, author David Smith paints a vivid picture of a handsome and dashing young Mandela who “didn’t have to try very hard for women to fall at his feet”. With this picture come the allegations that paint Mandela as a womaniser. Mandela married thrice in his 95 years, first to Evelyn Mase, then Winnie Madikizela-Mandela, and lastly to Graca Machel. 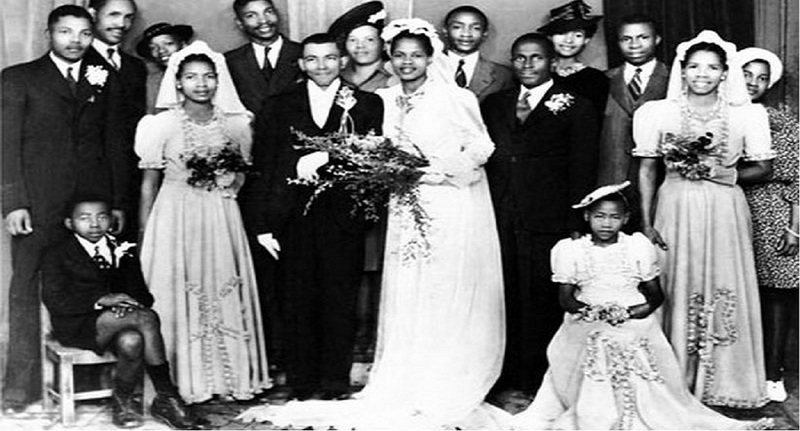 Mandela divorced Mase in the late â€™50s. She claimed that he had assaulted and threatened her with an axe. She eventually withdrew the claim, but the case never went to court meaning no judge or jury ruled on the truth of the allegation. He later apparently admitted to friends that he had been involved in a physical altercation with Mase. The scene of him striking Evelyn to the ground over a fight with a poker was screened in cinemas worldwide with the release of the blockbuster movie about his life, Mandela: Long Walk to Freedom. Over the past decade, a few women have claimed to be Mandelaâ€™s love children through liaisons during his marriage to Madikizela-Mandela.Â Onicca Nyembezi Mothoa, who bears a strong resemblance to Mandela, demanded to see him before he died but the Mandela family denied her. In Cachaliaâ€™s memoir When Hope and History Rhyme, published shortly after her death, she too wrote that she and Mandela had shared â€œromantic interludesâ€ after his release from prison. Mandela married his second wife Winnie Madikizela-Mandela in 1958. They lived together for a short period of time before Mandela was imprisoned and the family torn apart by the apartheid state. Madikizela-Mandela described him as more autocrat than democrat in the domestic sphere, Smith said in his book. In an interview, anti-apartheid activist Fatima Meer said Mamâ€™ Winnie â€œmakes an interesting comment about this overwhelming, overpowering effect that Nelson had. She felt that you disappeared under Nelson’s dominance.â€ Meer said when the two had just married, Mandela would have liked his wife to have just stayed at home. But Madikizela-Mandela always had a need to assert herself, her own rights, her own personality. Mandela admired that about her. â€œHe respected Winnie’s independence, he actually admires … her guts, her independence, and tenacity. I found that he often spoke about that a lot. He spoke about the strength of her and the fact that she was the person that held the family together while he was away,â€ Duarte said. Madikizela-Mandela tirelessly, relentlessly kept the apartheid fight and the name of Nelson Mandela alive for the people and in the media for more than two decades when Mandela was imprisoned. She was the only one Mandela trusted for intel and she visited him in prison. She was arrested, banished and brutalised – her life was one of struggle dedicated to the cause of freedom. Her work in the liberation struggle goes largely unacknowledged – by Mandela too. When he was released from prison in 1990, he addressed a crowd outside the Cape Town City Hall. Mandela used Mam Winnieâ€™s reading glasses to read his speech which made no mention of her. He didnâ€™t acknowledge her contributions to the struggle, her suffering, or how she aided him. She helped plant the seeds of freedom, laboured, and watered it. He enjoyed and took full credit for its fruit. At his inauguration in 1994, he decided to separate from Madikizela-Mandela. Mamâ€™ Winnie was present at the inauguration but sat away from the central party. â€œI must tell you that my heart went out to Winnie on that day. For me, just as a person, it was extremely emotional to sit there, and you have been part of all these elaborate arrangements, and you imagine that this person must have waited her whole life for this moment and it wasn’t there for her,â€ Duarte said. Mandela married Graca Machel, the former widow of Mozambican president Samora Machel. Machel was arguably more presidential than Madikizela-Mandela who refused to bend to capitalism and the Afrikaner nationalists. Nelson Mandela was a flesh and blood human being, not a demigod. He was just a man, a product of the patriarchy, who was thrust into heroism that is difficult to live up to. When we think about who history affords heroism, we need to think critically. In our quest to dismantle patriarchy, we need to be critical of the weight of Mandelaâ€™s legacy and open up the platform for more women to be included in who we deem icons. In every breath that we remember Nelson Mandela, we must remember the contributions of Winnie Madikizela-Mandela too.